The illustration shows a slightly bent knee (front) with the following structures: femur, fibula, tibia. Extensively degraded articular cartilage. 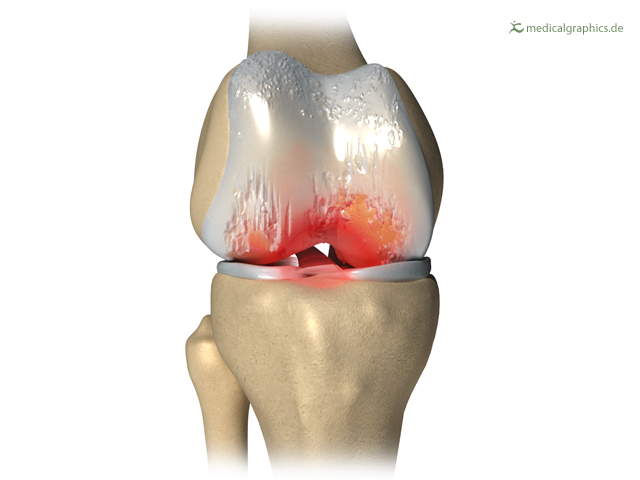 Inflammation of the entire joint.